Assmannshausen ….. 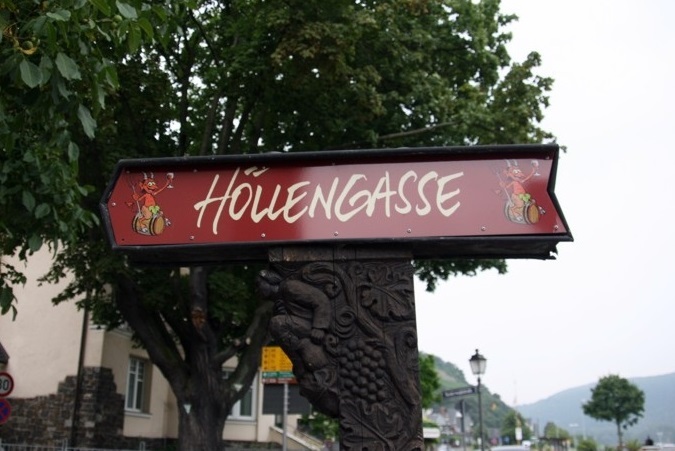 Situated in the valley of Lorely on the B 42 in the most romantic part of the Mittelrheingerbietes …. nestled between the slopes of the famous vines Assmannshauser hell mountain, where the world-famous wine growing. Visitors will find a lively atmosphere and many opportunities for recreation and relaxation from everyday stress: walking on the Rhine promenade … Rheinsteig. Hiking through forests and vineyards. 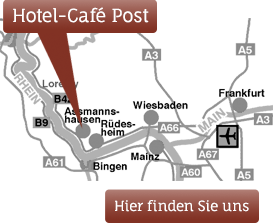 Boat trips, trips to the rope Bahr hunting lodge and the Niederwald monument. Visit castles along the Rhine. Wine tastings at local vintners. Dancing and entertainment in the pubs of the Höllengasse.